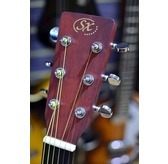 SX guitars impress with their great sound and excellent quality. 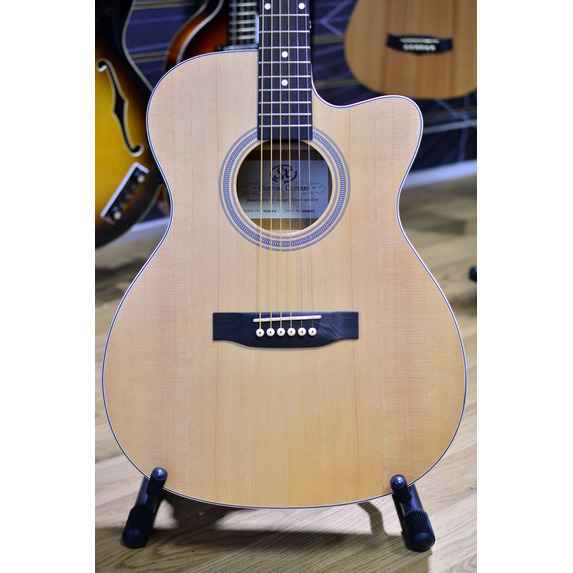 This popular SX cutaway electro model has a natural spuce top with contrasting back and sides, all in an attractive matt finish. 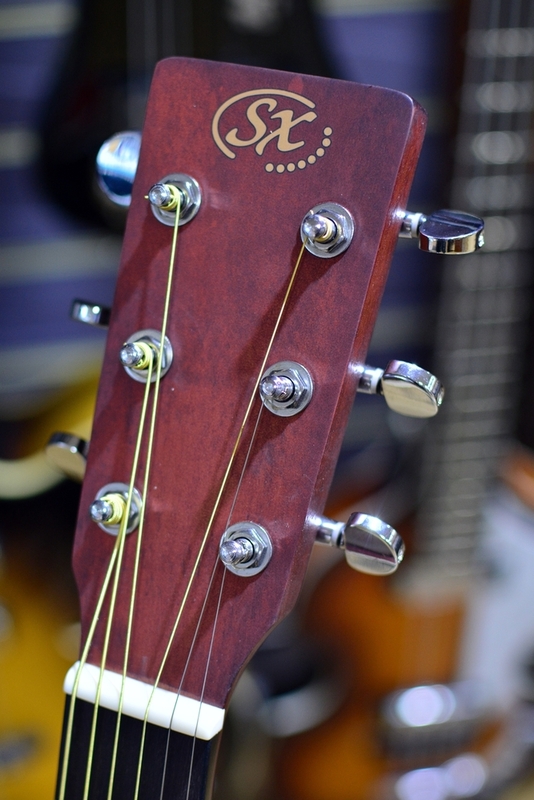 Like the rest of the SX range, it has quality features including a smooth rosewood effect fingerboard and diecast chrome machine heads. 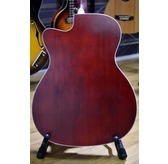 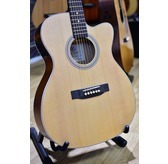 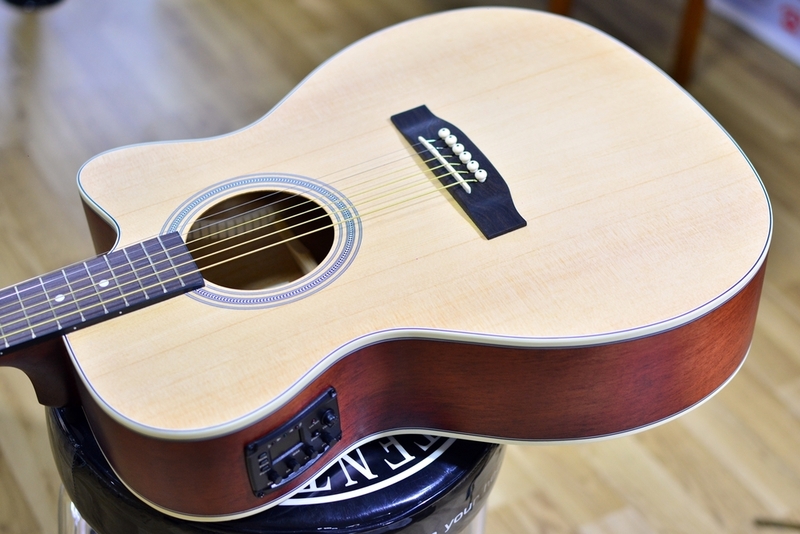 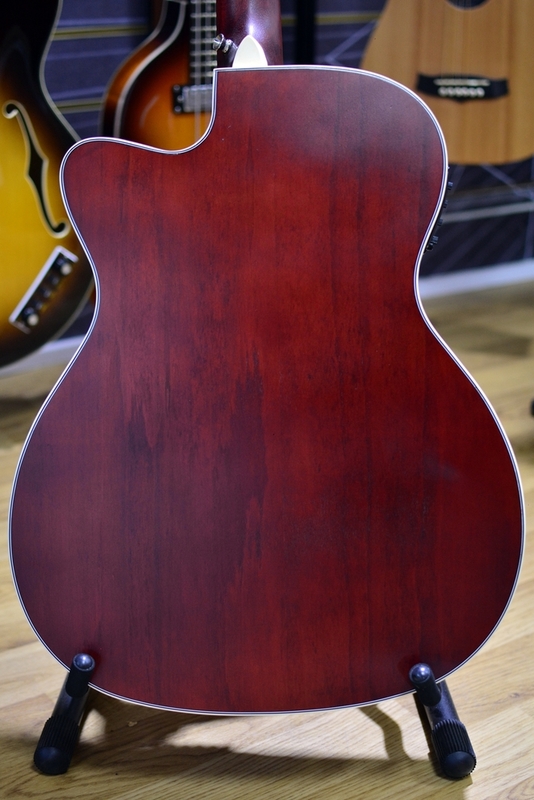 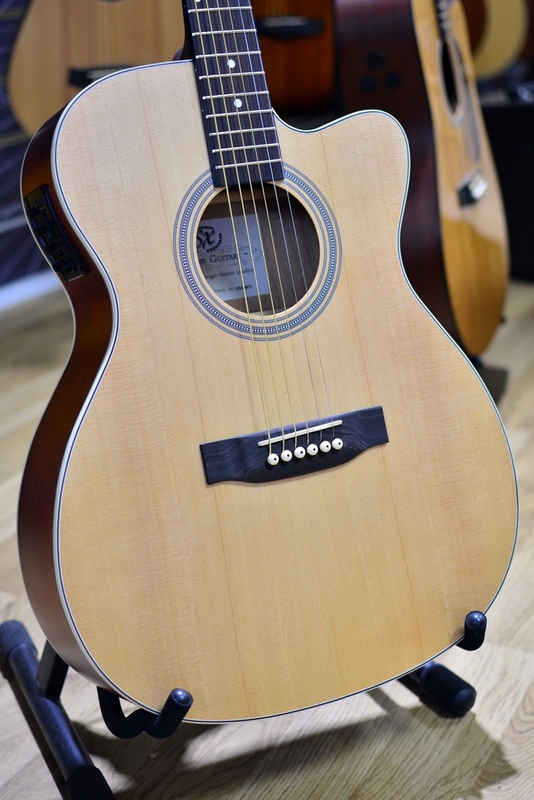 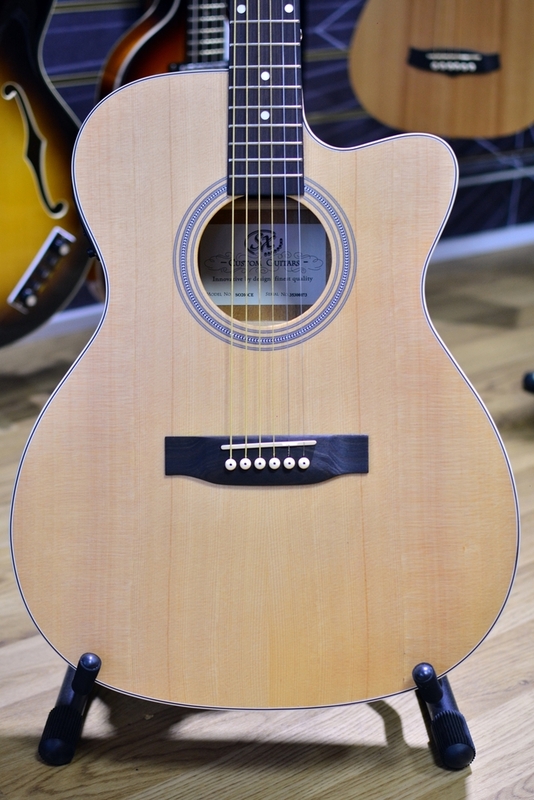 A great value guitar with a balanced, rounded acoustic sound. 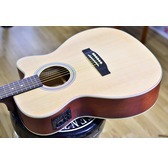 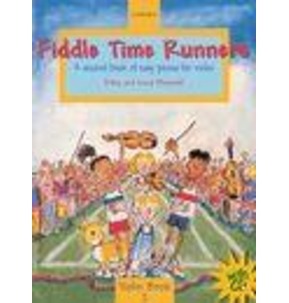 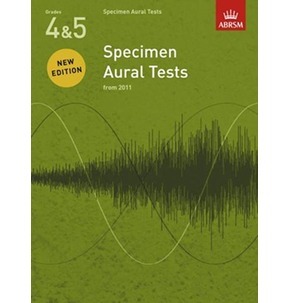 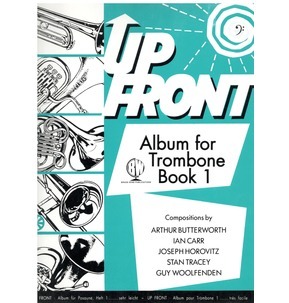 Fitted with good quality electrics (4 band EQ with tuner).